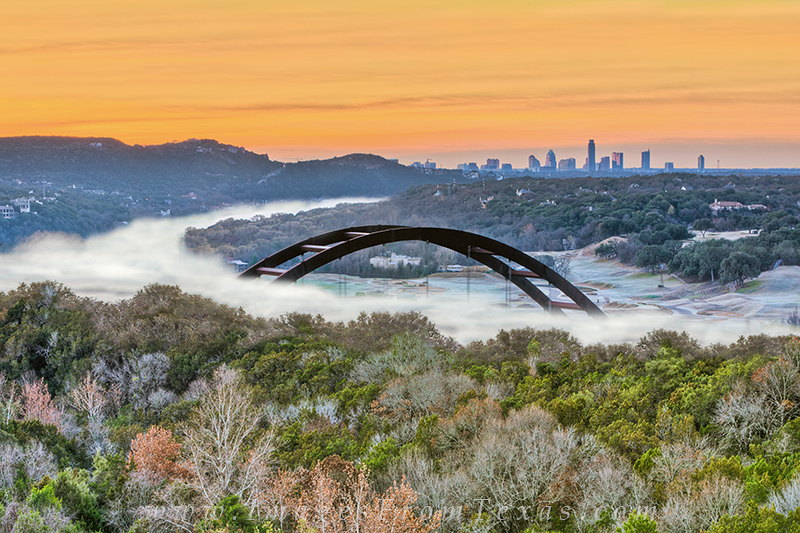 Fog rolls through the river basin near the 360 Bridge on a cold January morning. In the distance is the Austin skyline. Photo © copyright by Rob Greebon.